Sam Simon, co-creator of Fox’s hit The Simpsons, has passed away aged 59. The award-winning producer had been battling colon cancer, and died on Sunday, his agent said. 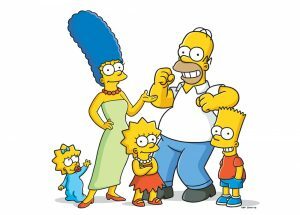 Simon created animated series The Simpsons (pictured), which follows a dysfunctional mid-American family, with Matt Groening and James L. Brooks. The show has been on air since debuting in the US in 1989. He left the show after four seasons, but continued to make money from it through a rights deal, and was well regarded in entertainment circles as a producer and humanitarian. After being diagnosed with terminal cancer in 2012 he spent much of his final years donating his money to charitable causes, especially animal charities. Simpsons showrunner Al Jean tweeted a series of messages paying tribute to Simon (see below).
.@thesimpsons #everysimpsonsever If you would like to honor Sam’s memory, do something nice for the next animal you meet. An enormous loss. Had the mind of Sam Simon not paved the way for all of us in primetime animation, I wouldn’t have a job. He will be sorely missed.